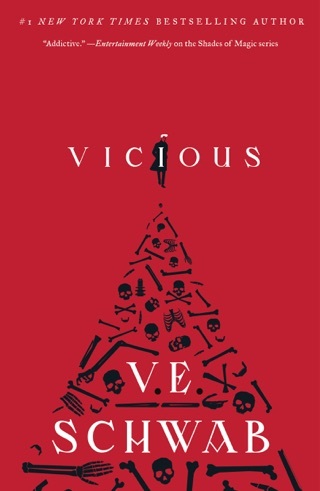 Witness the fate of beloved heroes and notorious foes in V.E. 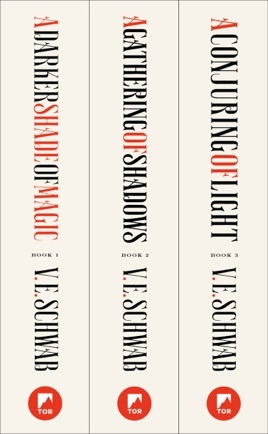 Schwab’s New York Times bestselling Shades of Magic series. 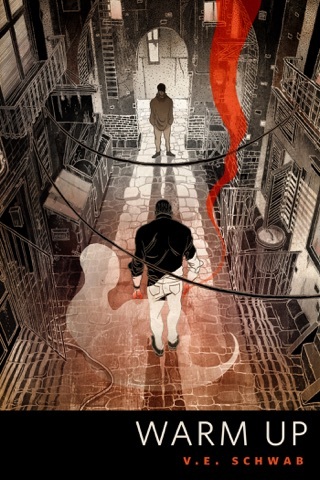 Kell is one of the last Antari—magicians with a rare, coveted ability to travel between parallel Londons; Red, Grey, White, and, once upon a time, Black. After an exchange goes awry, Kell escapes to Grey London and runs into Delilah Bard, a cut-purse with lofty aspirations. Now perilous magic is afoot, and treachery lurks at every turn. To save all of the worlds, they'll first need to stay alive. 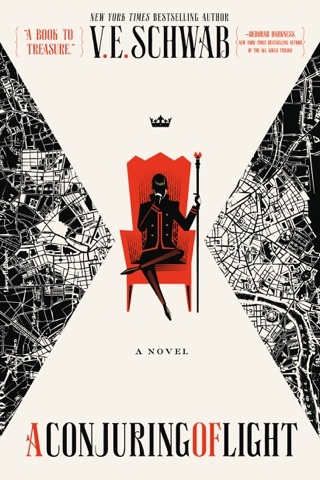 A Darker Shade of Magic — Kell was raised in Arnes—Red London—and officially serves the Maresh Empire as an ambassador, traveling between the frequent bloody regime changes in White London and the court of George III in the dullest of Londons. Unofficially, Kell is a smuggler, servicing people willing to pay for even the smallest glimpses of a world they'll never see. It's a defiant hobby with dangerous consequences, which Kell is now seeing firsthand. 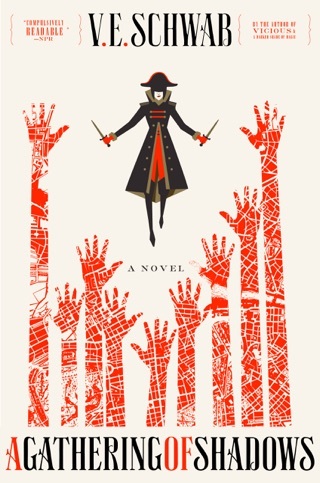 A Gathering of Shadows — Restless, and having given up smuggling, Kell is visited by dreams of ominous magical events, waking only to think of Lila, who disappeared from the docks like she always meant to do. And while Red London is caught up in the pageantry and thrills of the Element Games, another London is coming back to life, and those who were thought to be forever gone have returned. A Conjuring of Light — As darkness sweeps the Maresh Empire, the once precarious balance of power among the four Londons has reached its breaking point. 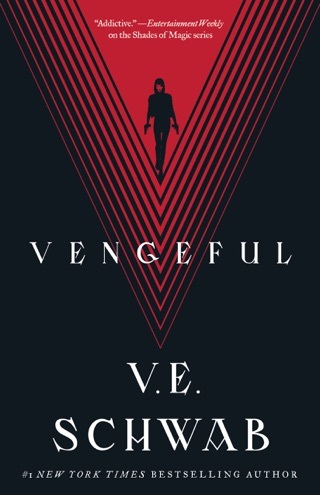 In the wake of tragedy, Kell—once assumed to be the last surviving Antari—begins to waver under the pressure of competing loyalties. 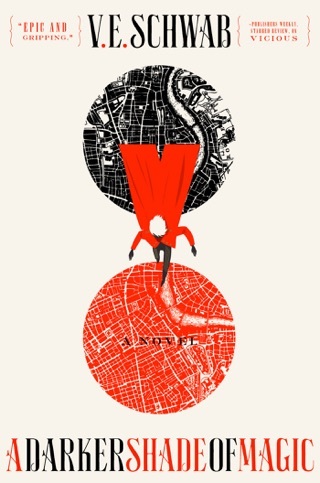 Lila Bard has survived and flourished through a series of magical trials. But now she must learn to control the magic, before it bleeds her dry.